With beautiful scenery, a rich culture and extremely welcoming locals – Timor-Leste is perfect for exploring independently or as part of a small group tour. The country is compact with lots of diversity. There is always something new and unexpected to encounter. With a local driver/ guide you’ll definitely see and learn more, especially out in the districts. Renting a 4WD is a great way to go. The scenery is sensational with ranges and ranges of blue-green mountains, terracotta hills, lush river valleys and beaches and rocky headlands lapped by a turquoise ocean. At times the roads are flat and smooth and at other stages you will find yourself veering around tight bends high a top cliffs and steep mountain sides. Ruts and potholes when encountered on rougher district roads provide the opportunity to slow down and better glimpse the lives of local people and to acknowledge the frequent smiles and waves you’ll encounter. Popular trips include out east to Jaco Island for sublime snorkelling, south to Hato Builico to ascend Mt Ramelau and west to Bobonaro for a soak in the Marobo hot springs. 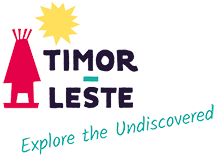 Timor-Leste tourism operators offer itineraries ranging from single day to multi-day excursions and involve travel by 2 / 4-wheel drive vehicles, motorcycle and boat. In addition to scheduled departures, tour operators are happy to customise arrangements to meet specific individual needs. There are many options depending on availability of time, places of interest and desired experiences e.g. history and culture, wildlife viewing and adventure activities such as trekking and diving. If you are a traveler who is excited by the opportunity to explore ‘the road less travelled’, Timor-Leste is for you.